In celebration of World Land Trust's 21 Anniversary, we have partnered with BBC Worldwide (through BBC Wildlife Magazine) to hold a camera trap photo competition. 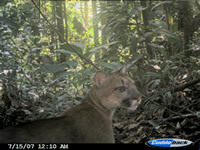 A rare shot of a Puma on Fundación Jocotoco's Buenaventura Reserve captured by camera trap. 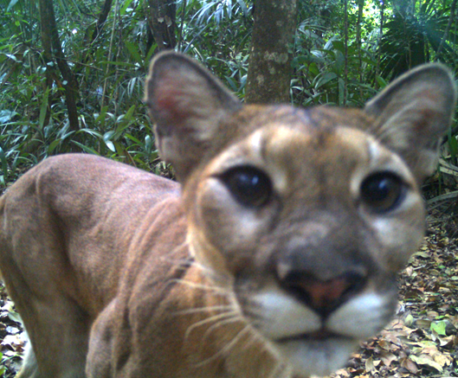 If you use camera traps as part of your research project or conservation work and have captured an interesting or never before seen image then why not consider entering? 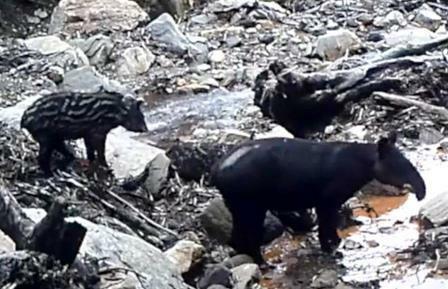 The top image from each of the three categories will be awarded $1,000 and the overall winner will be awarded a further $2,000 towards their project. For further details of this competition, the terms and conditions and how to enter visit the BBC Wildlife Magazine website. Please note that the closing date for this competition is 12th July 2010.